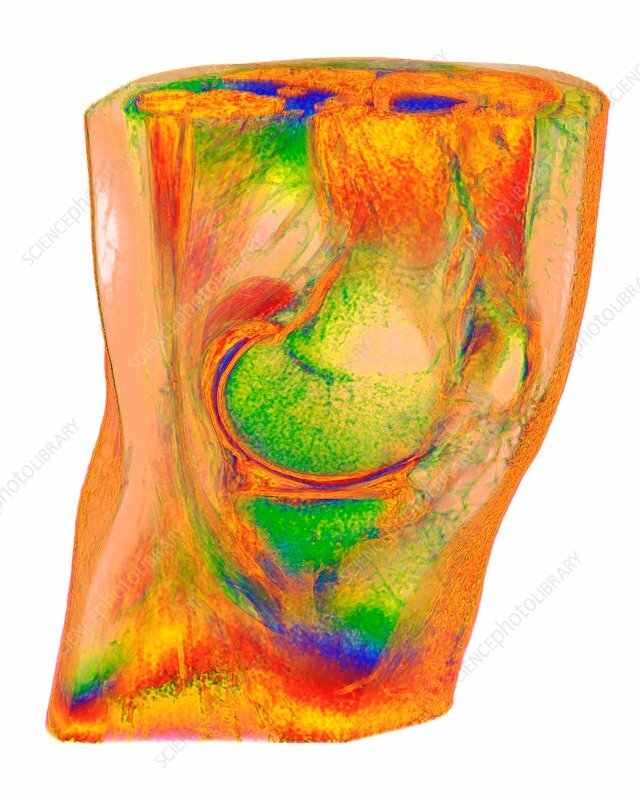 Human knee, 3D coloured magnetic resonance imaging (MRI) scan. This hinge joint in the leg links the thigh bone (femur), the shin bone (tibia) and the kneecap (patella). The latter protects the knee.